Simply put, accountants are in charge of making sure all the money adds up. They keep records, balance accounts, perform audits, and assist individuals and businesses with preparing their taxes and making investments. All careers in public accounting include numbers in some way, shape, or form, so as an accountant in training, prepare to spend a lot of time looking at spreadsheets and doing mathematical calculations. Typically, there are four main types of accounting careers: public accounting, government accounting, internal auditing, and management accounting. Within these fields are several different positions that call upon specialized accounting skills. Public accountants These professionals help clients make solid investments and audit their financial records to ensure that they are correct. Forensic accountants This sub-field of practice involves investigating securities fraud, embezzlement, and other crimes involving finances. While you won’t be chasing down crooks, setting up wiretaps, or anything like that, it’s a great career for anyone who enjoys solving puzzles and figuring out how transactions took place. Government accountants These professionals maintain financial records, audit individuals or businesses, and prepare local, state, or even federal budgets. Working for local and state governments usually means ensuring that income and expenditures are made in accordance with the many laws that surround government spending. On the federal level, accountants can work for the IRS and may specialize in tax law, receiving and filing tax returns and even conducting tax audits. Internal auditors Although the IRS may perform an audit of a company, businesses often audit themselves first to make sure there’s no fraud or wasteful expenditures. Depending on the size of the business, these audits are generally handled by internal auditors. These auditors do more than just make sure all the numbers add up as they should—they also look at how a company manages its money by evaluating the organization’s procedures and record-keeping system. 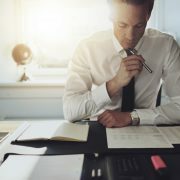 Internal auditors may also evaluate the software a company uses to handle its financial records, so some familiarity with computer programs will be useful to accountants in this area. Management accountants These accountants record and analyze all the financial data for their company. They create company budgets, evaluate financial records, and work to create a fiscally responsible, strategic plan for the organization. Management accountants often have a lot of input in the direction a company is taking and their advice may result in sweeping changes, both in the company’s organizational structure and the products and services it offers. Careers in accounting always involve taxes, taxes, and more taxes. If you decide to specialize in taxes, you’ll do a lot of work between January and April—the traditional tax time. However, you’ll also have some things to do off-season, especially if you also offer small business consultation. New companies always need advice on taxes, especially when it comes to collecting employment taxes like FICA and Social Security. Generally, an accountant’s duties and responsibilities demand that they spend their working hours in offices, although some occasionally work at home or need to travel to another location to examine records. Typically, accountants don’t need to work over 40 hours a week, although those who focus on taxes will find themselves putting in a lot more time during tax season. There really is no simple and neat accounting job description that fits all types of accounting positions. The accounting career field is so broad that you may work in private business or government, in accounts payable or as a manager, or in budgeting or compensation management. But there are some common responsibilities that are typically found in accounting job descriptions which include. Preparing financial statements, including profit and loss, balance sheets, and analytical reports. Assisting in decision making activities by providing insightful information about the financial state and future of an organization. This includes strategic planning, budgeting and forecasting, and liaising with stockholders and investors as a management accountant. Writing and inputting entries from originating documents into accounting ledgers. This may be completed by hand or on the computer using accounting software. Balancing subsidiary accounts and general ledgers, ensuring accuracy of information. Developing budgets using historical and forecasting information. Comparing actual and budgeted expenditures. 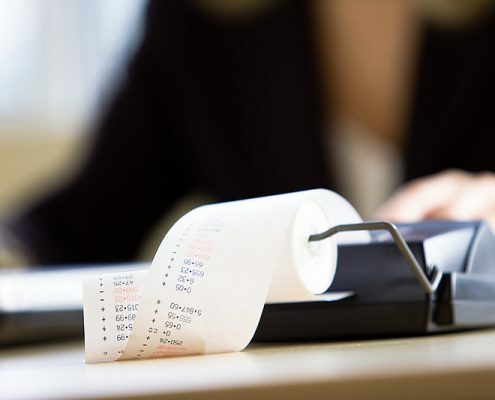 Inputting data to generate payroll or accounts payable checks, or invoices. Using software for accounting, database management, graphing, and report generation activities. Developing and recommending accounting policies and procedures. Making financial presentations, as requested. Performing audits or collaborating with auditors to ensure accuracy of accounting records. Educating high school, college, and other students, as well as new employees, in an effort to encourage continuing education and train new colleagues. 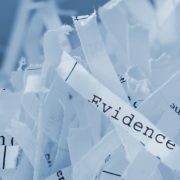 Supporting litigation as a forensic accountant by researching, analyzing, and reporting financial information. Collecting and analyzing personnel and compensation data while managing benefits programs to ensure cost effectiveness and accuracy as a human resources and benefits management accountant. Coordinating with IT specialists to ensure that financial reporting programs are secure and accurate. Of course, individual accounting job descriptions are customized to the needs of specific organizations and individuals. For example, a job description for an auditor might include specific responsibilities related to the inspection of documents and entries for the purpose of verifying accuracy. Similarly, a tax accountant job description might include functions such as preparing local, state, and federal tax forms, or advising clients on how to best manage their taxes. Job descriptions for higher level accountants, like a Chief Financial Officer or a Director of Benefits and Compensation Accountant, will include job functions involving budget and financial planning, strategy setting, managing personnel, and many other advanced duties. 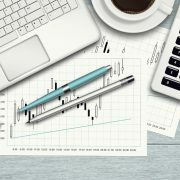 Why is a Career in Accounting a Great Field to Pursue in Today’s World? Due to these factors, among others, accounting jobs will need to be filled in a number of areas, including general accounting and tax preparation. Because of the outsourcing trend, which deals in human resources and other tasks, it may be possible for you to become an accounting consultant for specific issues if you have developed expertise in another area (i.e., if accounting is your second career). In addition to simply being available, accounting jobs are challenging, flexible, and profitable. You can easily work for a company or go into business for yourself, allowing you to define your experience as an accounting professional. While most accountants work in public and management accounting as CPAs, you can continue to pursue a career as an accountant if you would rather not earn this certification. According to the U.S. Department of Labor, there will be 1,332,700 accounting and auditing jobs available between the years 2014 and 2024. Whether it is your primary job or a second source of income, you can work full- or part-time to fill these anticipated positions. As of May 2015, the median annual wage for accountants and auditors was $67,190, which is an hourly pay rate of $32.30. Is Specialization the Way to Go? For those who want a career change from public accounting, the increasing number and complexity of government laws and agency regulations means large and small businesses need specialized accounting help. You may find the opportunity to work with a corporation as an internal auditor, or you can work as a self-employed accountant providing a variety of accounting services. Even the Internet has benefitted the accounting field. 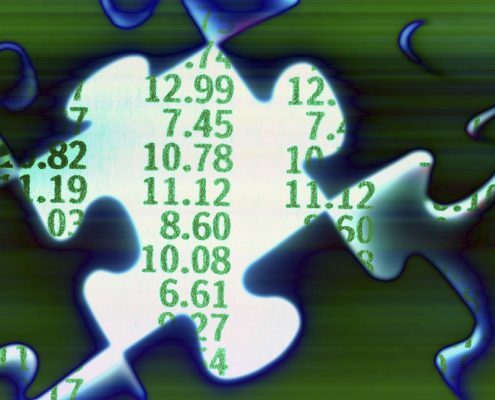 Most notably, a large portion of accounting functions can now be managed using remote access. This makes it possible to work for people or businesses in other geographic locations. Additionally, businesses are able to conduct international transactions, which require knowledge of international accounting and tax rules. In this way, the Internet has expanded the areas of specialization available to accounting professionals. Want to Work from Home? No Problem! Because accounting is a largely independent profession, it is one that can be easily carried out from home. With a computer, accounting software, printer, fax, copier, scanner, and Internet access, you can quickly set up your home office and start building your clientele. Naturally, your accounting salary depends on the number and types of clients served. As a result, your income may correlate with the amount of hours you dedicate to your work. 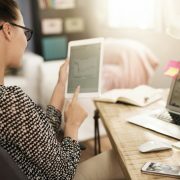 Technology has made it possible to do accounting work from home, but economic factors are driving the variety and quantity of available opportunities. The number of small businesses is growing, and many of these businesses don’t need a full-time accountant and rely on outsourced financial services (which you can provide). Even larger businesses are outsourcing many of their accounting functions in order to manage their expenditures as effectively as possible. These factors can create a mutually beneficial arrangement between these organizations and your new business, allowing them to save money by outsourcing their accounting work and you to earn money by taking it on. Assisting businesses or individuals with tax form preparation. Consulting with businesses as a cost-reduction efficiency expert. Preparing payrolls, tax deposit forms, and required monthly, quarterly, and annual tax summary reports. Helping start-up businesses structure their financial operations. More and more often, people are working from home for different reasons. Businesses are scaling back their payrolls and millions of people have lost their jobs. Individuals are looking for part-time work to increase household income. Retirees are running home businesses as a way to supplement their retirement savings. Additionally, working from home is a convenient solution for stay-at-home parents who want to contribute to the household income. And let’s face it—millions of budding entrepreneurs have dreamed of owning a business. A home-based business requires very little overhead, enables you to work a flexible schedule, and gives you control of your career. All of these factors help you improve your profit margin and increase your income. One of the best qualities of accounting is that countless businesses and individuals need the services of an accountant. You can determine what niche you want to serve and then market your home-based business to clients across the country through the Internet. An accountant working from home uses financial skills learned in accounting school, but must also develop excellent customer service skills. As an entrepreneur, your communication skills will be an important determinant of your success. 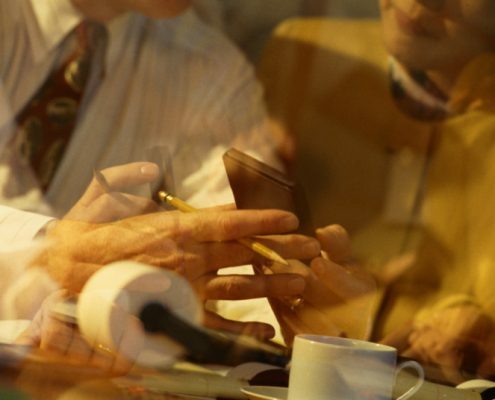 Working one-on-one with clients, you will need to gain their confidence in your accounting and financial abilities. Want to Change Careers? Go for It! Thinking about switching to a career in accounting at 40 years old or older? If you listen to the naysayers, they will probably tell you that accounting career change is a bit risky. They may have a point, but these days every career move is a bit risky! In today’s world, you do not have to stick with a job simply because you have it. You can change careers and, as a result, finally love your work. According to an article posted on the U.S. News and World Report , 8.4 million older Americans have already chosen to start second careers. Likewise, an AARP commercial shows older people saying, “When I grow up, I want to be…” The message is clear—you can pursue new interests, like accounting, as a second career even if you are 40 years old or older! People who choose an accounting career enjoy working with detail and get satisfaction out of analyzing information for the benefit of an organization or client. A position as an accountant can vary significantly from business to business, which is largely why the field is growing. The variety of positions you will qualify for once you earn your Bachelor’s Degree in Accounting ensures that you can build a flexible and diverse career. This is just a sample of possible titles. Careers in accounting often start with a staff position as a general accountant after earning a Bachelor’s Degree. With an advanced degree and certification, you can quickly move forward to higher paying jobs that include supervisory and management responsibilities, or strategy planning. So, what’s the bottom line? It’s that an accounting degree can help you create a fascinating career! Top 15 Mechanical Engineering Schools in the Plains – 2016 Rankings How Do You Become a Tax Accountant?